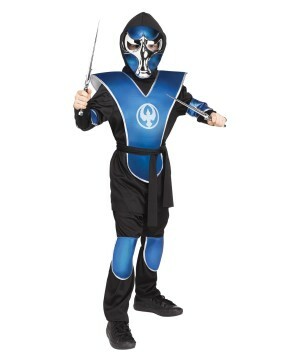 Ninja costumes can turn anyone--men, women, boys and girls--into the stealthiest Halloween warriors. 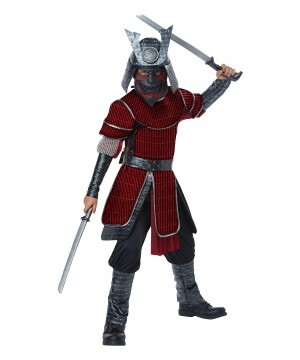 The Ninja, Japanese history’s most beloved mercenary is the central theme of one of Halloween’s most popular costumes. 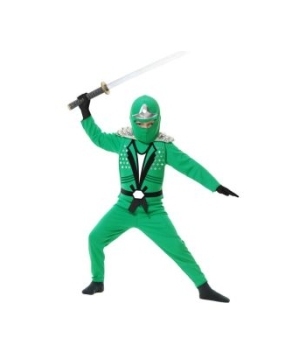 Your perfect ninja outfit is waiting at Wonder Costumes, where you will find the most celebrated ninja characters from Japanese movies and comics. 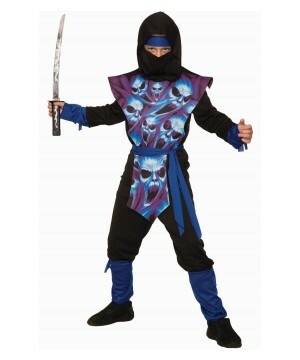 Ninja costumes are some of the most popular options come Halloween and it's no surprise. Ninjas are one of the most iconic espionage figures in history, and ninja costumes are still wildly popular today. 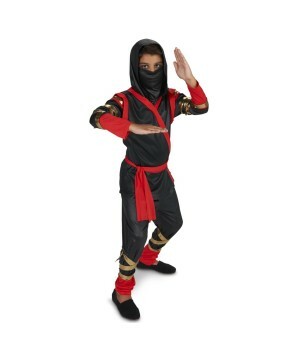 Our ninja costumes category has a huge variety, from the traditional all black sneaky garb, to the more boisterous red and green costumes with detailed designs and slick accessories. 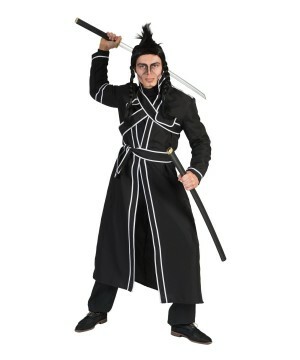 Popular media is also full of recognizable ninja characters and costumes. 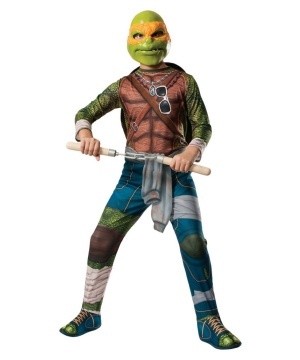 From Scorpion from Mortal Kombat, to Raphael and the rest of the Teenage Mutant Ninja Turtle gang, Wonder Costumes has it all when it comes to ninja costumes. While it’s likely real ninjas disguised themselves as regular civilians, the black garbed shinobi make for far cooler costumes. 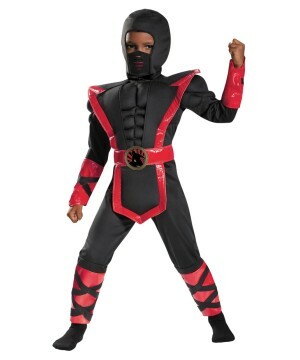 Our ninja outfits come in a wide range of styles, some are baggy cloth suits that come in dozens of different colors while other ninja costumes have bulkier armor pieces with intricate dragon designs. 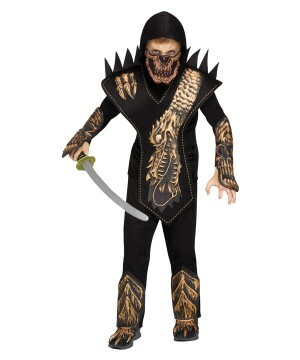 Go for a costume that’s a little less traditional by putting on a zombie or skeleton ninja costume. No ninja is complete without an arsenal of deadly and precise weapons. Complete your ninja costume with the shinobi weapon of choice: the katana, or the long range shuriken, or even the pronged sai. Find plenty of ninja costume accessories and kits; put together your own outfit and complete it with a set of sneaky boots or sleek gloves. 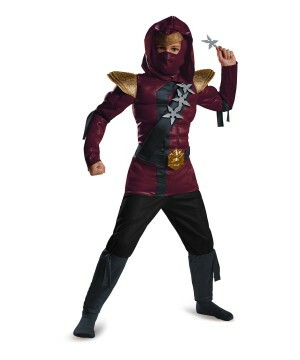 Wonder Costumes also stocks costumes of everyone's favorite ninjas from popular culture. 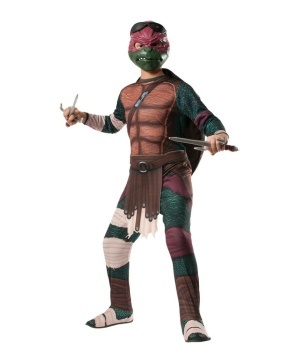 Gather your friends and become totally radical pizza loving shinobi with our Teenage Mutant Ninja Turtle costumes. 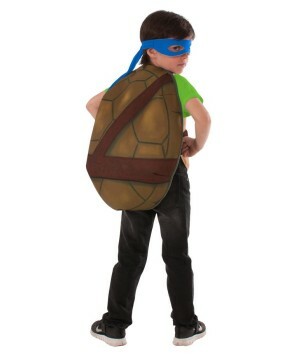 Become Raphael, Michelangelo, Donatello, and Leonardo and thwart the evil plans of the Foot clan! For a less honorable costume, look to Mortal Kombat’s very own Scorpion! This fiery ninja has been melting faces since 1992, and no matter how much his costume changes, his look is absolutely iconic. Looking for something straight from Japan for your costume? Look to the Power Rangers, the classic Super Sentai team that’s been delivering kung-fu chops and ninja flips since the 90’s! G.I. 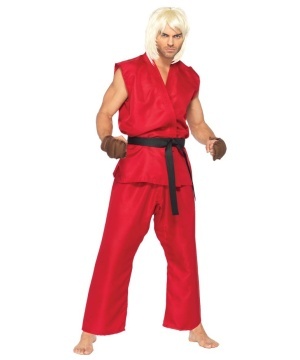 Joe is another popular franchise to pluck ninja costumes from, with the infamous rivalry between Snake Eyes and the Cobra force known as Storm Shadow. Take on the task of teaching some very bratty ninjas with our Kakashi costume from the popular Japanese anime: Naruto. 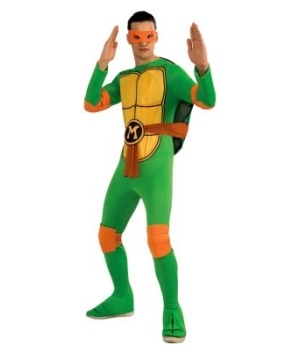 The ninja, despite being hidden in shadows, has managed to remain as one of the most popular and iconic costumes for Halloween even to this day. With their intricate and awesome styles, these covert agents will be a big hit every year for customers of all ages at any Halloween or cosplay event! Grab your katana, slip on your tabi, and complete the costume with your ninja hood to take to the night as a highly trained spy.